In 1984, Burton did just that. 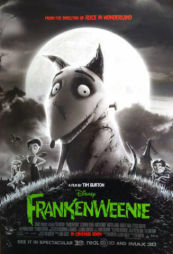 A movie director and animator, Burton took advantage of the opportunity to bring Sparky back through a Disney film he made called Frankenweenie, a half-hour live-action film. 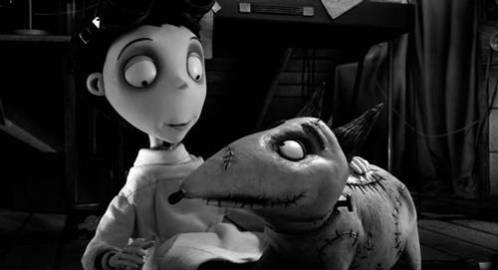 This October, Disney and Burton are bringing back Frankenweenie as a 3D full-length animated film. Frankenweenie is filmed in black and white which will certainly make your 3D experience unusual, but more goth and spooky, as well. The story is a dark one, as animation goes, but like Burton's other 'nightmares,' all is well in the end. Frankenweenie's cast is impressive with such voices as Winona Ryder, Martin Landau, and Martin Short in remarkable roles. Frankenweenie looks like it will be a great family movie and it might just be a bit cathartic for all of us who've lost so many pets as children and adults. Bison Battle! The Animal Video of the Day!! !